Well, it’s December and we are amidst the wedding season. Most of the brides and grooms-to-be would be busy shopping and preparing themselves for their big day. Surely, they wish to look their best ever on the wedding day. And many work towards getting in good shape before their marriage. But are you financially in good shape? Rishi & Sanjana too plan to tie the knot next year. Their story is no less than a fairy-tale. From school batch-mates to soul-mates made their relationship adorable amongst their friends and family. Everyone is excited, and this is like the most awaited wedding in their family. The couple has a destination wedding on their mind. Goa is their desired wedding location. With fixed idea about décor, food, and invitations, they thought they were sorted. But as they met wedding planners, caterers, decorators, etc., they realized this kind of wedding is going to be an expensive affair. They approached our experienced Certified Financial Planner seeking advice. They were relieved to have a proper financial plan before moving ahead with their life plan. Are you tying knot soon? What is your dream wedding kind? Wedding by the shore? Or at a lawn? Or at some upbeat banquet of the town? Whether, you have time in hand or your wedding bells are already ringing, take a pause and review your finances. Whatever you dream or intend, it makes financial sense to start planning for it at the earliest. Because you surely would wish for a more beautiful marriage than just a beautiful wedding. It would be wise to start your journey with sound finances in place than with a burden of debt. Don’t be carried away by societal pressures or affluent friends or neighbours. Remember, each one’s personal finances are unique. There’s also no need to ape others blindly, as each one’s financial circumstances/situations are different. Therefore, focus on YOUR wedding Budget as there are other vital financial goals to fulfil as well, such as buying your own house, planning vacations, and your retirement fund, among a host of others. While estimating the wedding expenses, take into account the present value, i.e. the amount you would have spent today on your wedding on a rational basis. Calculate the future value of this amount considering inflation and the number of years you have in hand before your big day. Then work out the periodic monthly investments you need to save in mutual funds via systematic investment plans or SIPs. Keep in mind that the earlier you start this exercise, the lesser you would have to set aside and invest per month to accomplish this financial goal. If you’ve also assigned funds to meet other important goals such as your parents’ medical needs and your retirement, avoid utilising these for your marriage. Investing in equity mutual fund schemes may prove rewarding if the time horizon for marriage is more than five years. And follow an asset allocation approach. Besides equity, you may include gold as an asset class to save for this goal. Also, you may invest via gold mutual funds or ETFs instead of physical gold. (Note: This table is indicative and for illustration purpose only) An appropriately balanced - asset allocation acts as a shield to protect the portfolio value during uncertain economic conditions and market volatility. Sure, weddings are once in a life-time occasion and arrangements are expected to be perfect. But PersonalFN is of the view that, if you take a sizeable amount of debt for that one event of life which is going to take you years to repay, then you will be severely damaging your financial health. The last thing you should do is use credit cards or taking a personal loan for any large wedding expenses. Banks and NBFCs have started doling out wedding loans. They are nothing but 'personal loans' disguised to lure gullible borrowers. As per our Personal Loan EMI Calculator, a Personal Loan of Rs 10 lakh @ 15% p.a. for the tenure of five years (i.e. 60 months) would amount to an EMI of Rs 11, 593 (approx.). Plus, do not forget other hidden costs associated with these unsecured loans. Hence, you must try to stay within your means and use the money that you have set aside. Though these wedding financing options are are easily available and can be rolled out in few minutes, it’s best to avoid borrowing for a wedding. Instead, only use those funds you have accumulated via financial planning for your marriage. Adopt a practical approach to all wedding related expenditure. For instance, if the means are limited, consider choosing an affordable venue, compromise on décor or limit the guest list. 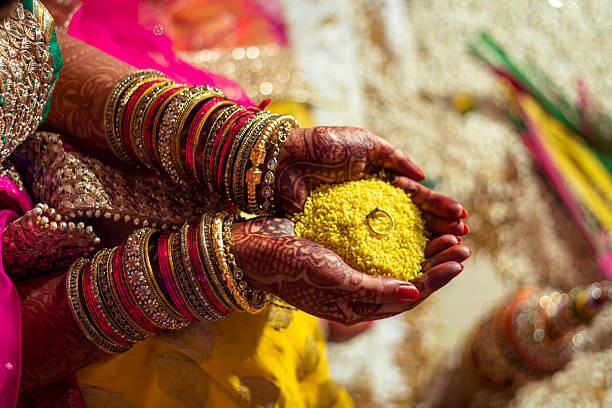 Do not get carried away with emotions, rather consider organising a practical wedding. And even if you have to avail of a loan, make sure that you apply for the amount necessary. PersonalFN is of the view that it is imperative for you to plan and save for all your life goals through a well-designed financial plan. Moreover, the earlier you start, the more of a corpus you will be able to accumulate. Of course, your wedding carries great emotional value, and therefore, in that sense, no amount can be termed as too much. However, it is imperative to be prudent while spending huge sums of money. It is always wise to spend only to an extent to which you can afford to, without compromising on other priorities. After all, you would not want to remember that beautiful moment of life with regret. Like Rishi & Sanjana you too can approach our Certified Financial Guardian to seek expert advice to plan your wedding expenses prudently.